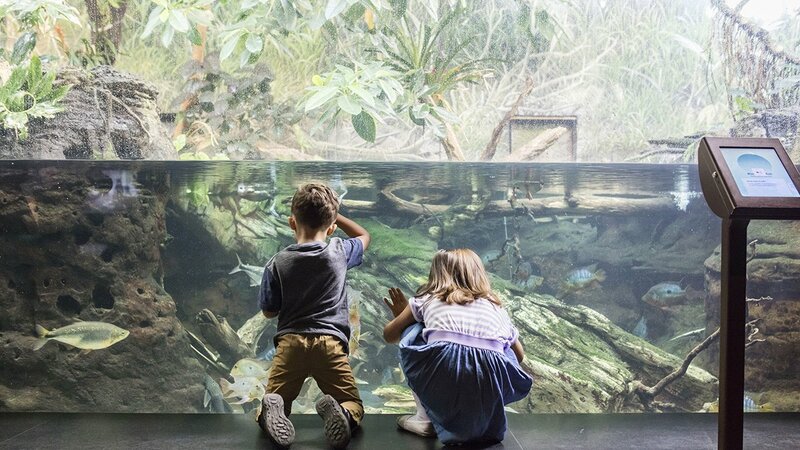 CHICAGO (WLS) -- Shedd Aquarium announced Wednesday its free days for Illinois residents, and plan to also extend hours on some of those days. Illinois residents with a valid ID receive free access to Shedd. This includes general admission, the chance to experience an aquatic presentation (subject to availability), "Washed Ashore: Art to Save the Sea" (through Sept. 2018), seasonal Stingray Touch (open late May to October), daily animal chats, and more. Admission can be upgraded to include 4-D Experience for $4.95 per guest. A $3 transaction fee applies to Illinois Resident Free Day tickets reserved online. Expanded access is also included for those who received free admission everyday including teachers, active-duty military personnel, first responders, and eligible low-income families with an Electronic Benefit Transfer (EBT) card as a Museums for All partner, powered by ComEd. In addition, Shedd will be closed Jan. 16 and 17 for routine maintenance and cleaning. For more information, visit: https://www.sheddaquarium.org or call 312-939-2438.